It’s never easy replacing a legend. So far, the Minnesota Vikings have been unsuccessful. After Adrian Peterson missed 13 games with a torn meniscus in 2016, the team pieced together a disastrous rushing attack that finished last in the league. Now, the Vikings are challenged with finding a permanent solution after Peterson signed a massive deal with New Orleans. For the second straight off-season, the team has spent aggressively trying to upgrade a struggling offensive line and bringing in new talent. Finding a replacement for Peterson may prove difficult, but the team has collected enough assets that it could go smoother than anticipated. Let’s examine the three options currently on the team’s roster and their potential for impact this upcoming season. 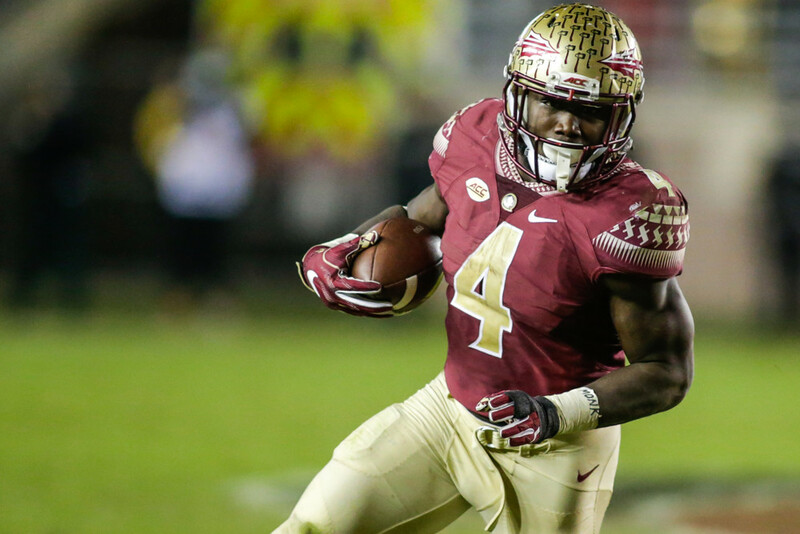 It took Dalvin Cook only three years at Florida State to become the program’s all-time leading rusher. Now, he is hoping to repeat that success with the Vikings. When the team selected Cook early in the second round, he instantly became Peterson’s heir apparent. The question is can he deliver on these high expectations right away. Cook has already received high praise during off-season workouts. But, Latavius Murray’s presence presents an obstacle. Cook is faster and more elusive, but the team has made a huge financial commitment to Murray. Expect Murray to begin as the starter, with Cook overtaking him at some point. Currently being drafted in the middle of the seventh round, fantasy football owners must decide how patient they are willing to be with the rookie. If you can afford for him to sit on your bench at the beginning of the season, Cook could pay big dividends down the stretch. Murray joined the Vikings thinking he would inherit Peterson’s throne. The former Pro Bowl rusher scored 12 touchdowns last season, ranking him fifth amongst NFL running backs. He finished as the 13th-ranked back in standard scoring fantasy leagues. Yet, Cook threatens his workload. It’s only a matter of time before Cook emerges as the featured back. This is reflected in Murray’s ADP. After signing with the Vikings, he was being selected in the third round. Since the NFL draft, his value has plummeted, falling all the way into the sixth round. Feel comfortable using Murray early in the season as a RB2 but understand it’s likely that he will drop behind Cook on the depth chart. Jared McKinnon benefited the most from Peterson’s injury last year. Despite finishing as just the 27th running back in standard scoring fantasy leagues, McKinnon gained steam as the season went on. He scored double-digit fantasy points each game from Week 12 on. This included a 26-point fantasy performance against Chicago in Week 17. McKinnon has carved out a niche for himself as a change-of-pace and receiving back. Last season, he ranked 15th amongst running backs in receptions (43). But, he will struggle for volume behind both Cook and Murray. Currently being undrafted in most leagues, McKinnon is worth only a late-round flier in PPR leagues.